We are a leading Manufacturer of kf clamps and circular bellows from Bengaluru, India. We are enlisted amongst prominent firm for offering a wide range of KF Clamps. Our products are used to build fore line vacuum plumbing and process systems. We offer easy to use and highly effective KF Clamps to our customers. Moreover, our products are known for their long lasting life. To retain the best position in the market, we manufacture, trade and supply premium quality array of Circular Bellows. Our given circular bellows are tested on diverse parameters of quality so as to ensure its flawlessness. 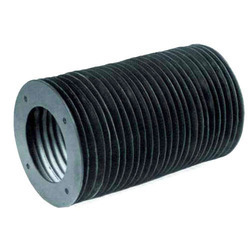 These circular bellows are developed by our professionals, utilizing optimum quality material as per the set guidelines. Offered circular bellows are available in diverse specifications as per the need of patrons. Looking for Vacuum Components ?